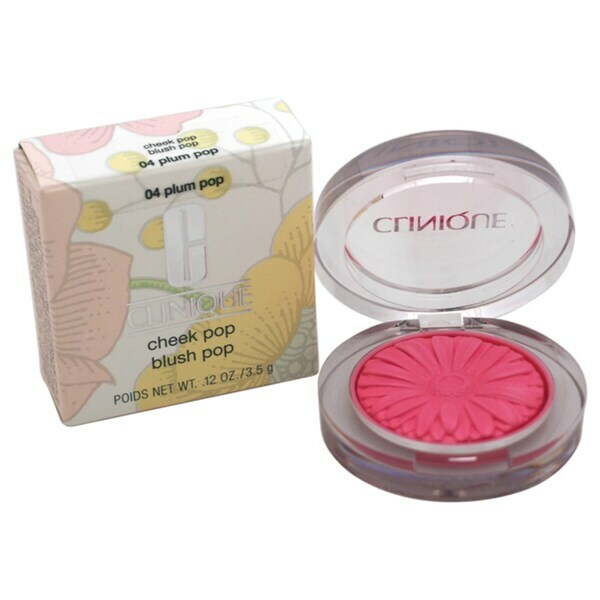 Clinique Cheek Pop blushes live up to the hype. They are very pigmented, with a buttery smooth texture. They are very long wearing. They may seem a bit small, but the color is so rich, it doesn't take a lot. The simple clear plastic packaging is very sturdy, and lets the beautiful flower design on the blush show through. Plum Pop is a beautiful cool-toned pink with a satin finish. It looks beautiful against my fairs skin. This is a nice everyday color for cool-toned looks. It features a silky, stay-true and highly blendable formula provides pure, vibrant yet natural cheek color and embossed with an elegant floral pattern.